I spent the last month creating my son's costume. I could have done it in shorter time, but once you have a toddler on your hands, you have very little time during the day to work on it. I have enjoyed and suffered throughout each process of creating this costume as I am still a beginner. 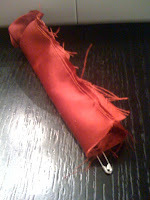 I have never sewn buttons or buttonholes, so that part was new to me, but once I did my first button it was a piece of cake. Also, I never ever made a hat from scratch so that was my second big task. My advice to you if you are staying away from buttonholes, buttons or zippers is to get to know your machine a little and everything will be so easy and much faster than by hand. 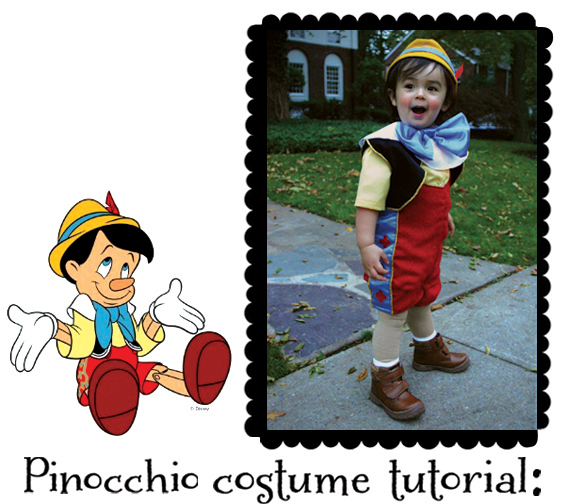 This tutorial is based on my experience making the Pinocchio costume. It is not a sewing professional tutorial therefore if you like the finish product you can go ahead and follow the instructions. To view details zoom in by clicking 2 times on the image. This is easy. Take an old shirt from your son that he no longer wears and trace the shape of the back and front with chalk or white fabric pencil. 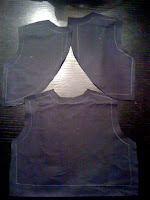 Then you draw on the fabric the shape of the vest you want. 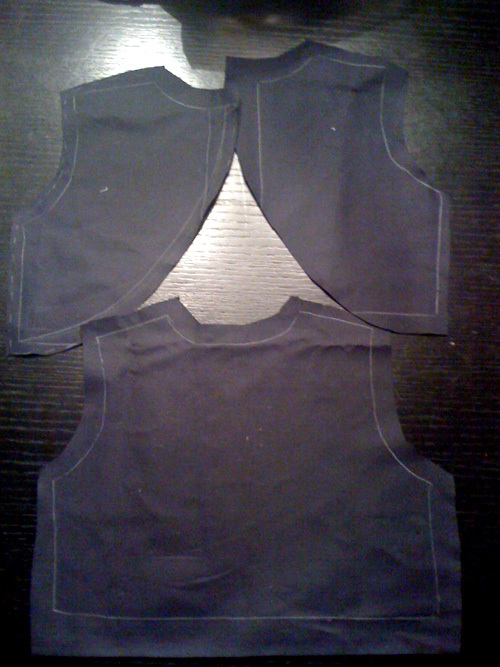 Keep in mind it will be shorter than the regular vest. After you sew pieces together you add the gold trim. You can either sew it or use fabric glue. 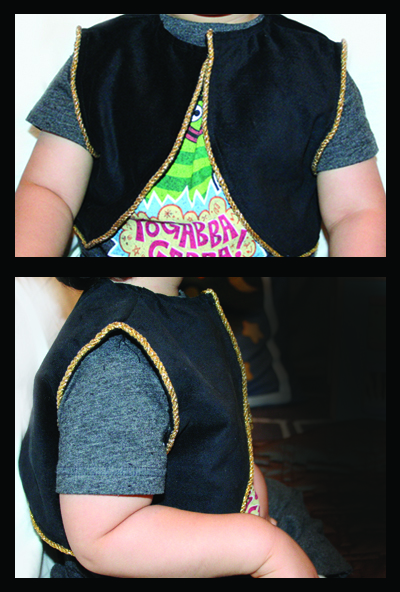 I sewed the gold trim, I used a clear thread. Once again you trace any pair of shorts your little one wears and add 1/4 around it. Follow the pants tutorial on previous post and draw a curve on the front part of the pants. I added a blue strip to the sides of the pants and added gold trim to each side of the blue strip. 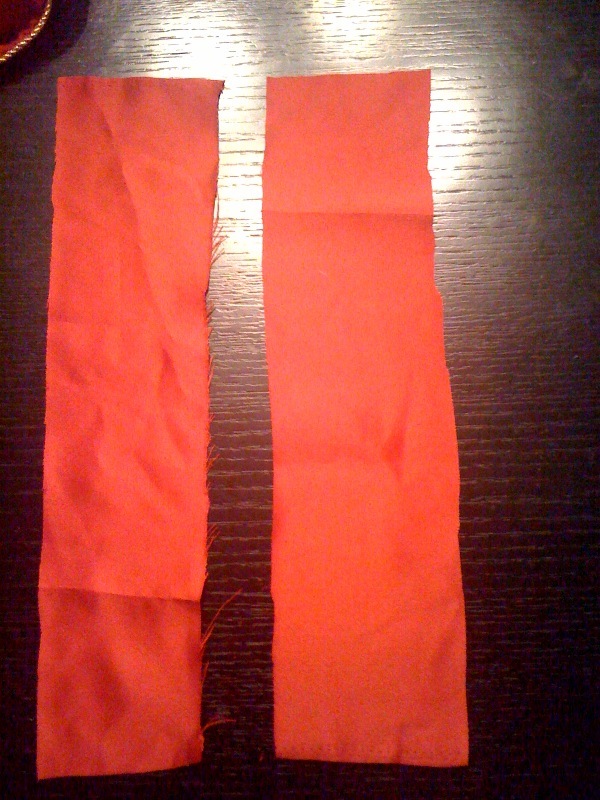 Then sew the felt fabric decorations on the blue strip with red thread. The red suspenders were made by using the same red fabric as the shorts. 2.5" wide and depending on your little one you choose the length. Sew it inside out and then turn it right side by using a safety pin. The last touches are sewing the big yellow buttons to the front of your shorts and creating button holes to fasten the straps. Make sure you measure with a ruler and draw your lines with your fabric pencil to be precise. I don’t know how to sew, and I my mom doesn’t know how to and I can’t find anyone that can sew. So will it work if I try using the fabric glue instead? If so, is it at stores like AC Moore?